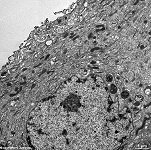 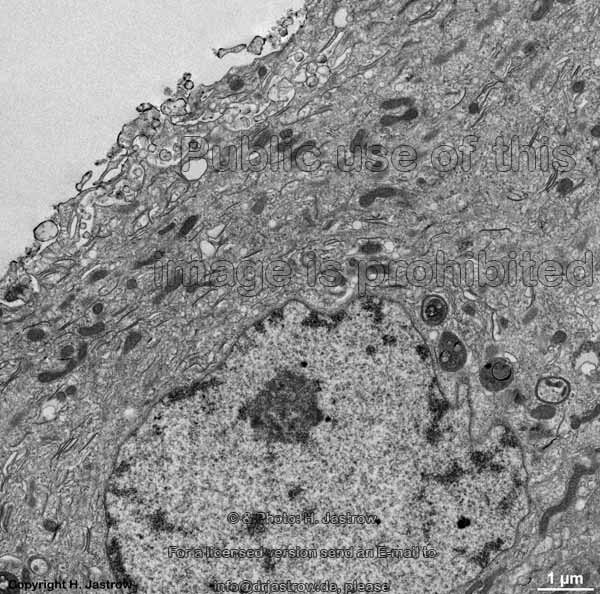 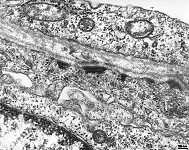 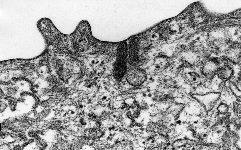 The epithelial cells of the urinary bladder have a thickened outer lamina of their cell membrane as protection against aggressive substance in urine. 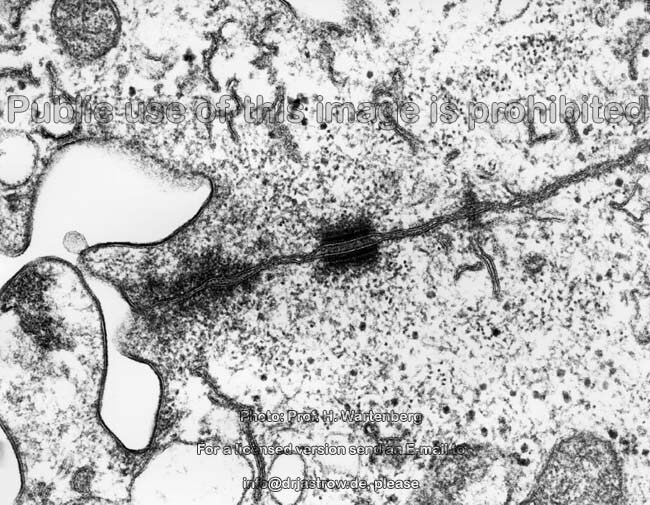 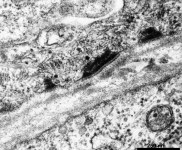 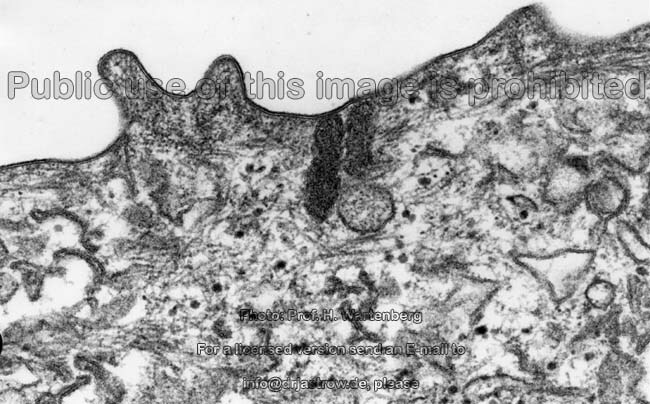 In the underlying apical cytoplasm a crusta is formed by intermediate and actin filaments as well as membrane vesicles which are characteristic for urinary tract superficial epithelial cells. 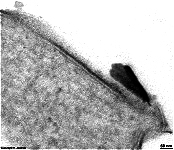 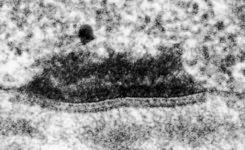 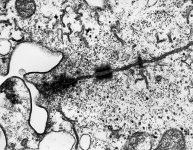 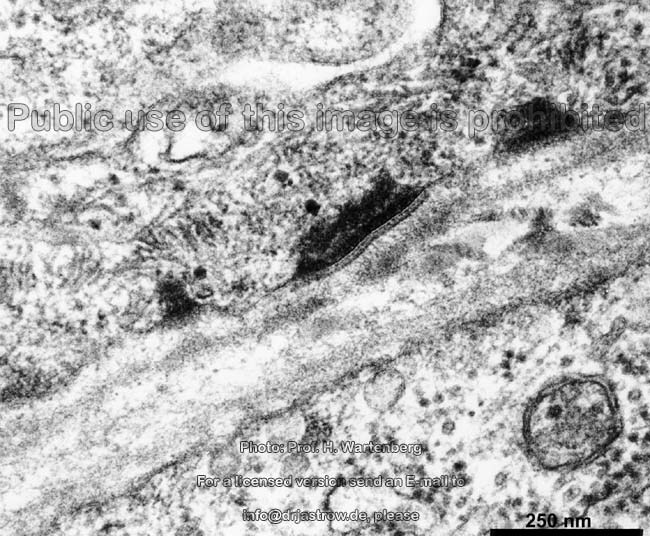 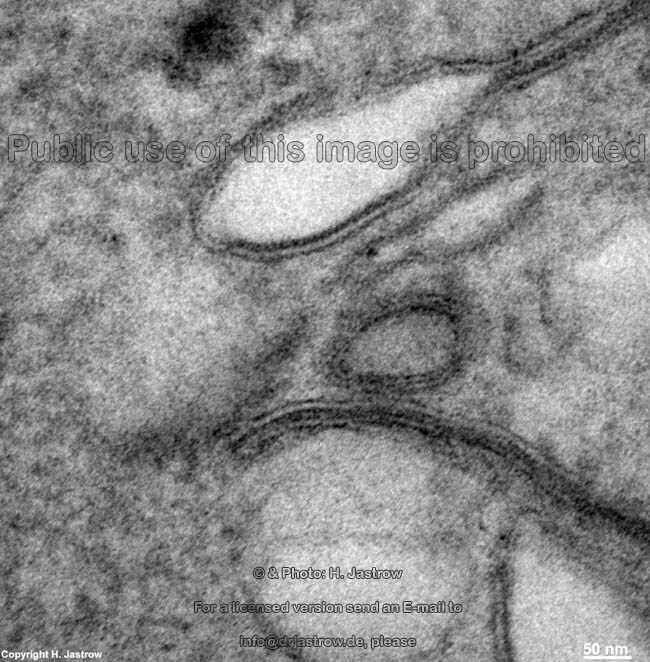 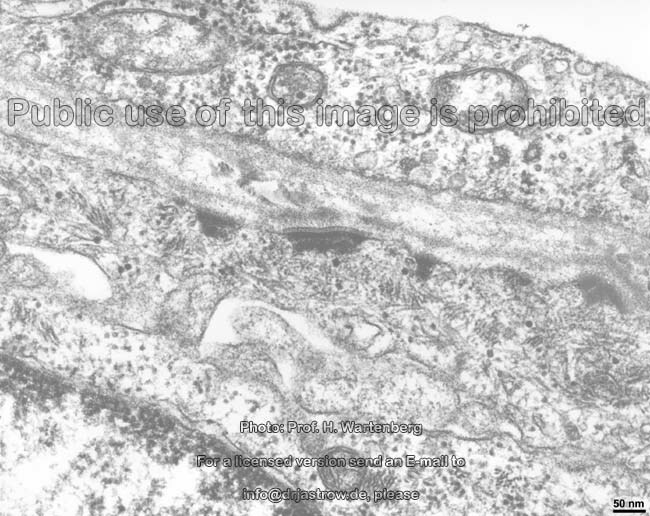 These vesicles comprise invaginated cell surface membrane (storage site) and refuse with the cell surface membrane when the bladder is filled. Two images were kindly provided by Prof. H. Wartenberg; other images, page & copyright H. Jastrow.